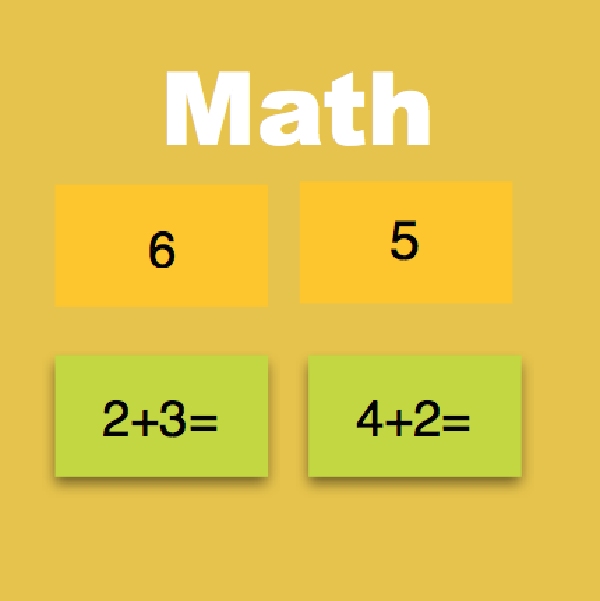 The DragNDrop Math Activities provide an easy, enjoyable way to practice basic math. We currently offer 400 free DragNDrop Math Activities for Addition and Subtraction, running in a browser. Each Activity includes 25 problems (5 sets of 5). The full package with over 800 DragNDrop Math Activities (over 20,000 problems) is available for purchase by educational institutions. They can be delivered on the Web, on a local server, on the Raspberry Pi configured as a local content server, and as apps for Windows, Mac OS, and Android. The DragNDrop Math modules were created with the Math Machine, an innovative application developed by MediaTechnics, that generates sets of interactive math exercises based on specified operations and formulas. The Math Machine is very flexible, so can be configured to generate different content sets and white lable packages for publishers, resellers, and educational institutions. The following samples are included to demonstrate the range of content and exercises in the full math library. The DragNDrop Math Activities are available for licensing to educational instiutions and educational distribution partners. We can use our custom software to generate a wide range of additional math activities, including white label versions with your logo and design.